Last night American Idol landed in Hollywood and I was cooking up my first recipe of the week for Yahoo! Music’s Lyndsey Parker and her Reality Rocks blog. I love goat cheese. In fact I’m pretty much married to cheese in general, but goat cheese is at the top of my list. 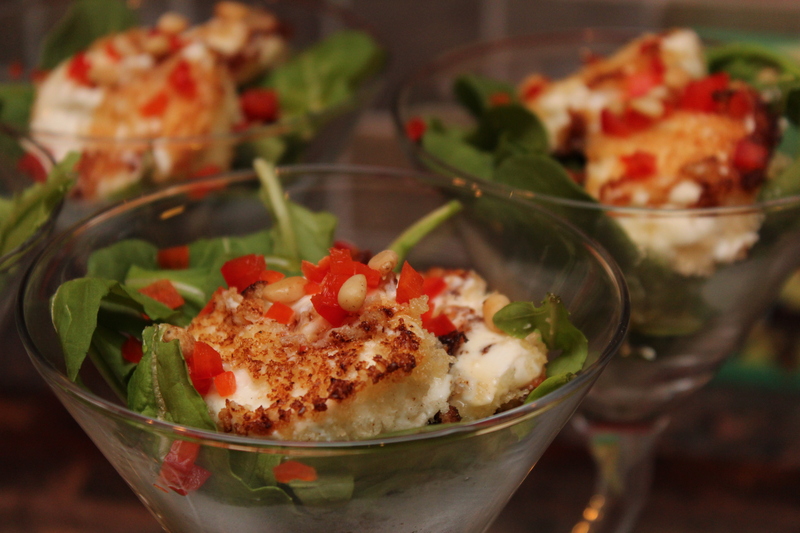 The hubby and I went to France last fall and we had the most impeccable goat cheese appetizer. Lightly browned, drizzled in honey and served with a hint of spicy arugula. So voila! Here’s my version of that amazing treat. I apologize for the lack of pics in the process. Once the cheese landed on the skillet there was no touching a camera. You have to work quick before these suckers start to melt. Give it a try. It’s super easy and oh so delicious! 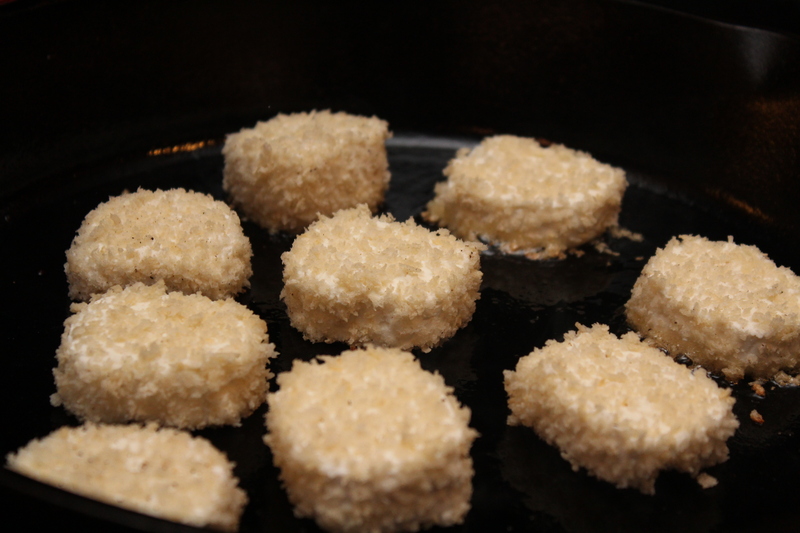 Mix the panko, salt and pepper on a small plate. 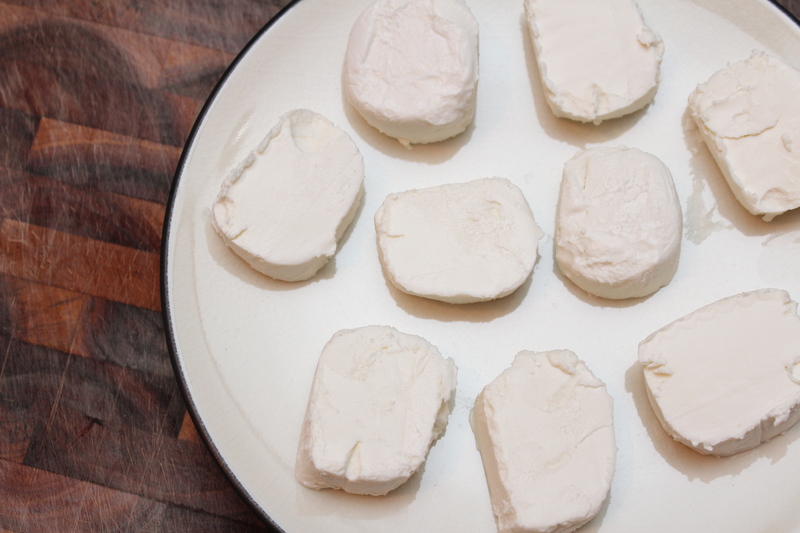 Slice the cold goat cheese into 1 inch circles. 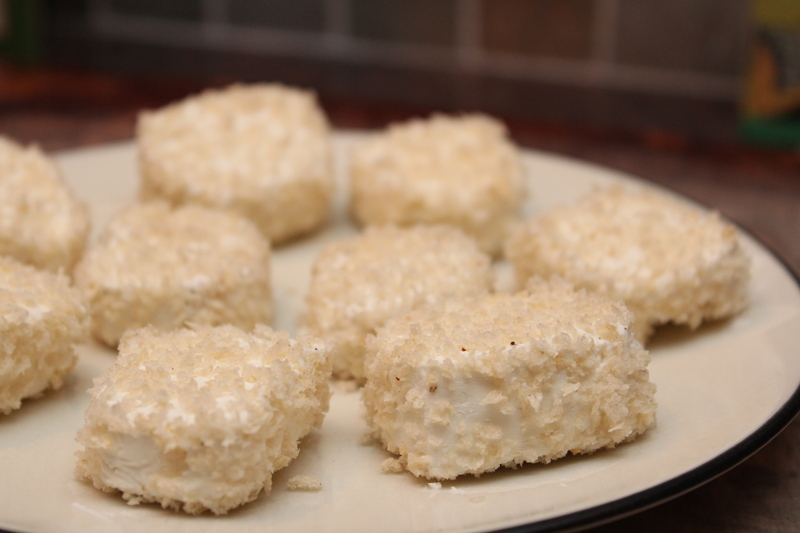 Dredge in the panko and chill in the refrigerator for 15 minutes. Place the arugula equally in 4 martini glasses and set aside. Heat the oil in a large cast iron skillet over high heat until piping hot. Add the goat cheese and sauté until lightly golden brown, around 2 minutes on each side. Remove from the heat and lightly toast the pine nuts until fragrant. Place the goat cheese on top of the arugula, two per glass, and drizzle with the honey. Top with the pine nuts, red bell pepper and a drizzle of lemon juice. Sarah, these look wonderful! Wish I had been there to sample!